Homemade iced coffee. 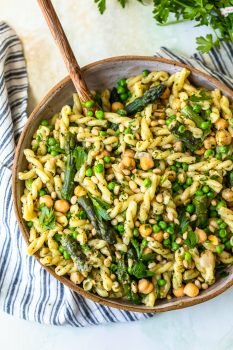 It’s easier than you think to make at home. We think its the best way to start any day, and there are so many EASY ways to make it your own. 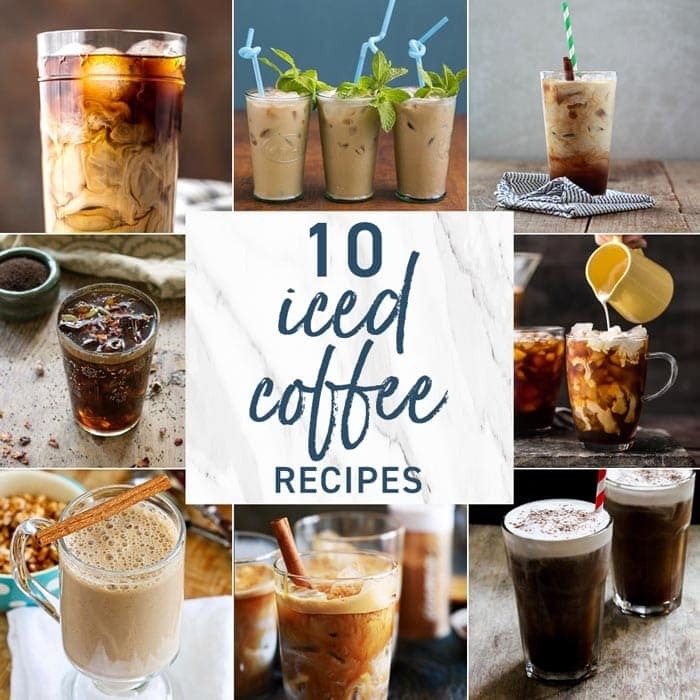 If you’ve wondered how to make Iced Coffee, we have you covered! Homemade Iced Coffee for the win! Hi there! It’s Maryanne from The Little Epicurean. I practically live off of coffee. I used to spend a ton at local coffee shops for my daily jolt of caffeine…until I learned to make coffee drinks at home. 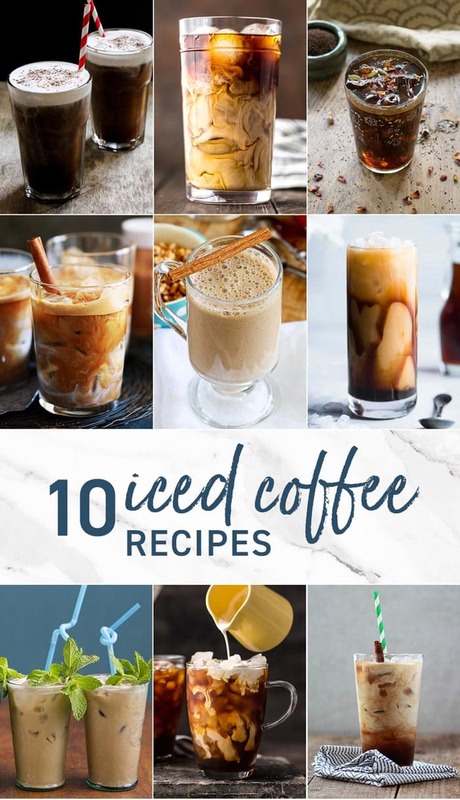 Today we’re sharing 10 homemade iced coffee recipes that will rival your favorite coffee shop version. Enjoy! Easy Homemade Iced Coffee | The Cookie Rookie First up, the basics. 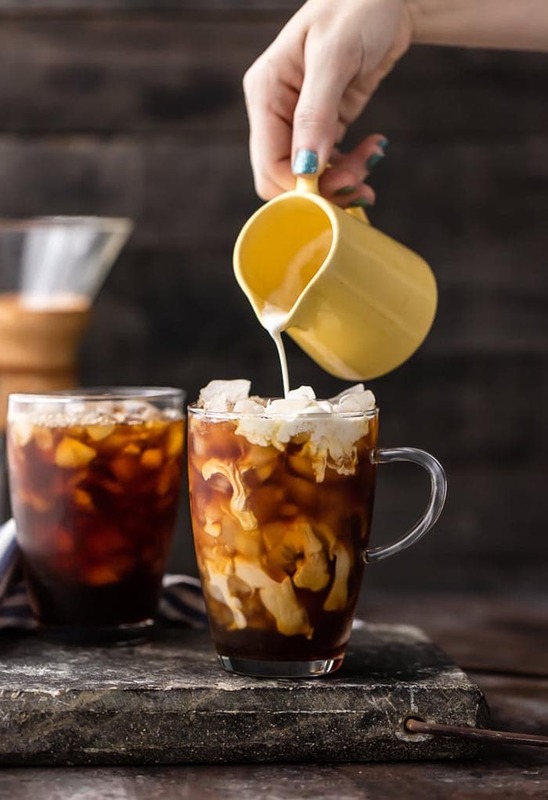 This post explains how to brew iced coffee, as well as how to make a sweetened homemade creamer. Best of all, there’s a video tutorial! Mint Mojito Iced Coffee | The Little Epicurean Now that you know the basics, it’s time to spice things up. 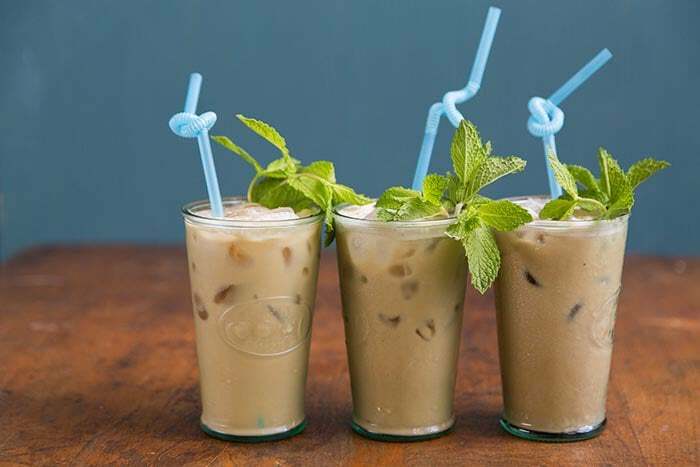 This non-alcoholic mint mojito coffee is a homemade version of the one made famous by Philz Coffee (a favorite in California). It’s made using cold brew coffee, mint syrup, and cream. 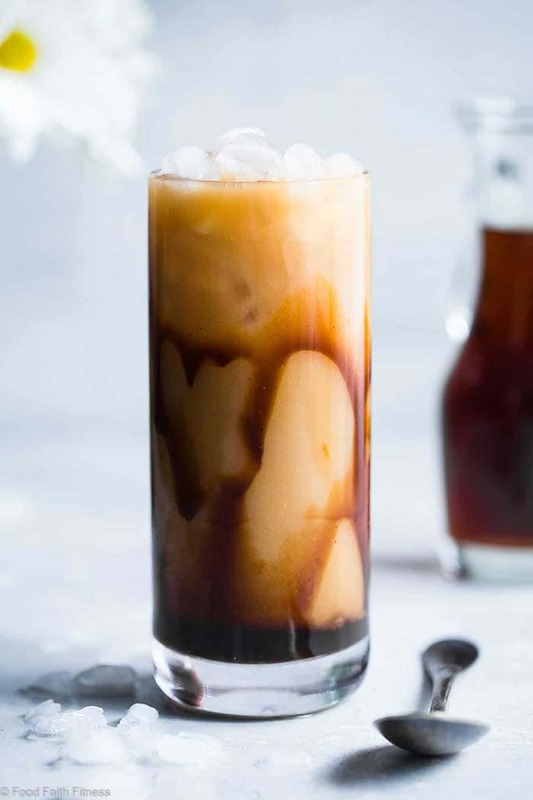 Thai Iced Coffee | The Cookie Rookie For fans for Thai iced tea, you’re going to LOVE this Thai iced coffee. This recipe includes a non-alcoholic recipe, as well as a spiked boozy version. Cheers! 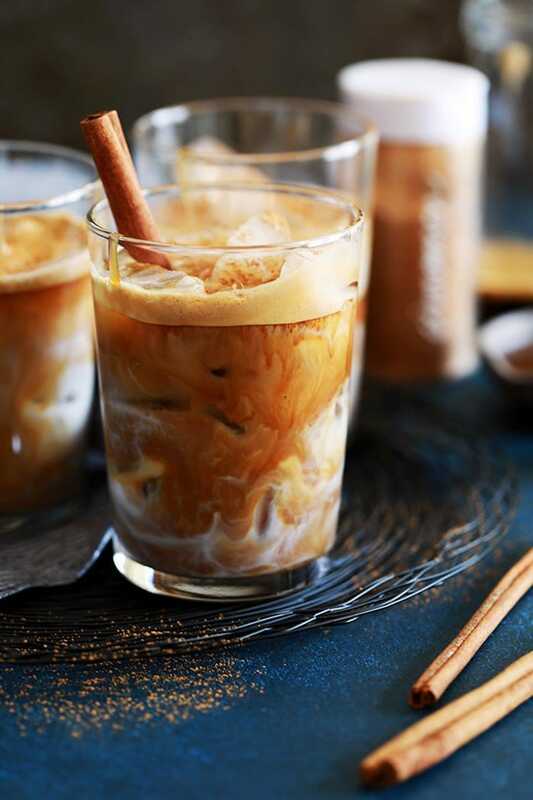 Iced Cinnamon Almond Milk Macchiato | Melanie Makes Four ingredients are all that stands between you and this macchiato. 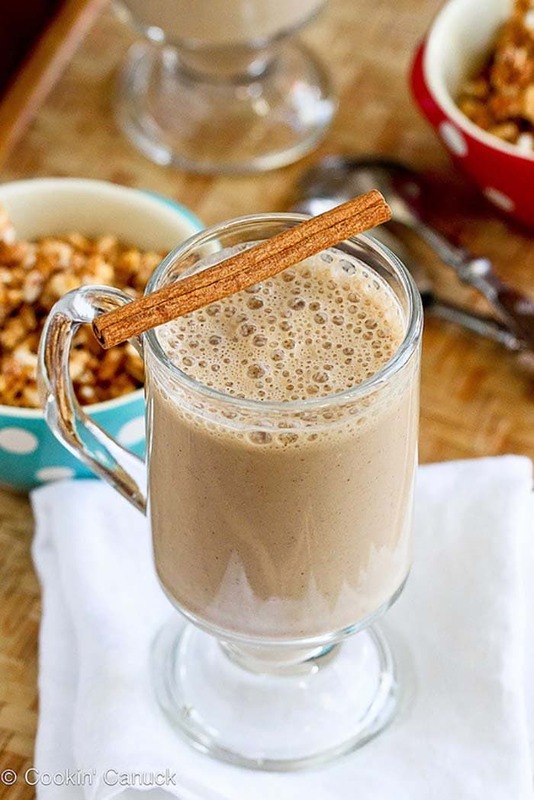 Made with espresso, almond milk, cinnamon, and caramel, it tastes like a decadent treat! 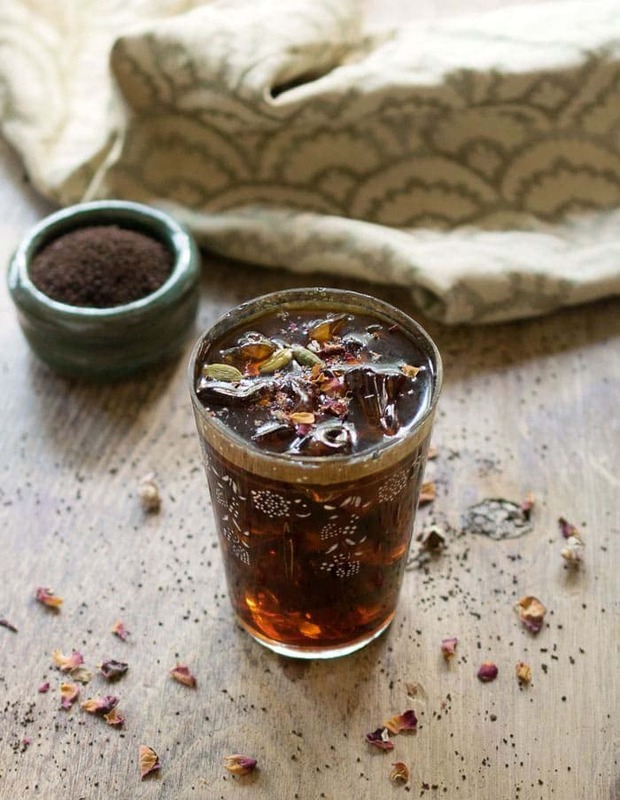 Middle Eastern Iced Coffee | Healthy Slow Cooking Spice up your iced coffee with homemade cardamom vanilla syrup. Sea Salt Coffee | The Little Epicurean It may sound strange, but adding salt to your coffee makes a world of a difference. Top your cold brew coffee with sea salt cream for a refreshing experience! 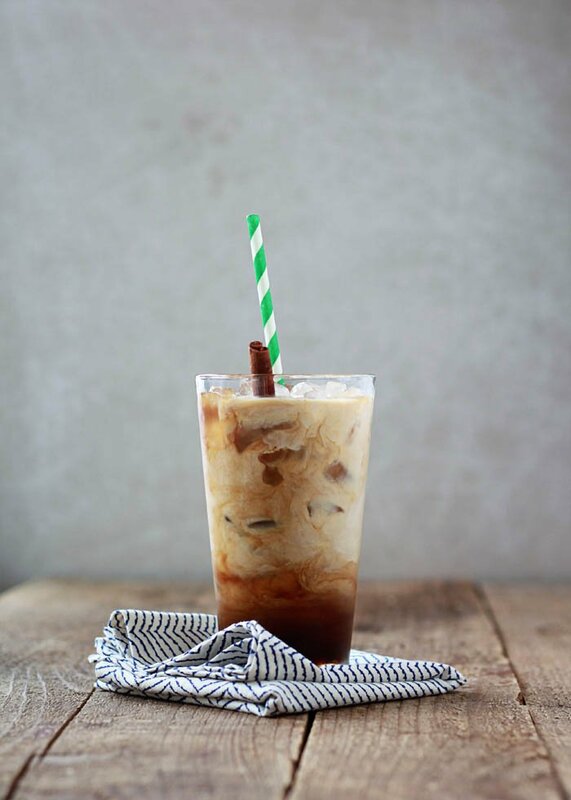 Cinnamon Dolce Iced Coffee | Kitchen Treaty This iced coffee will make you wonder why you ever waited in line at your local coffee shop for a drink. Flavored with brown sugar and cinnamon, this will become your new favorite. Healthy Coffee Banana Smoothie | Cookin’ Canuck Kick off your morning with this healthy coffee banana smoothie. 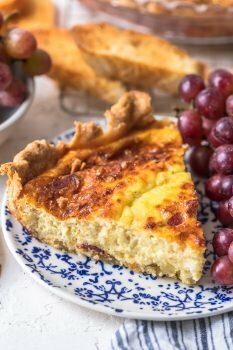 It’s made with nonfat Greek yogurt and ground flaxseed for extra protein and fiber. 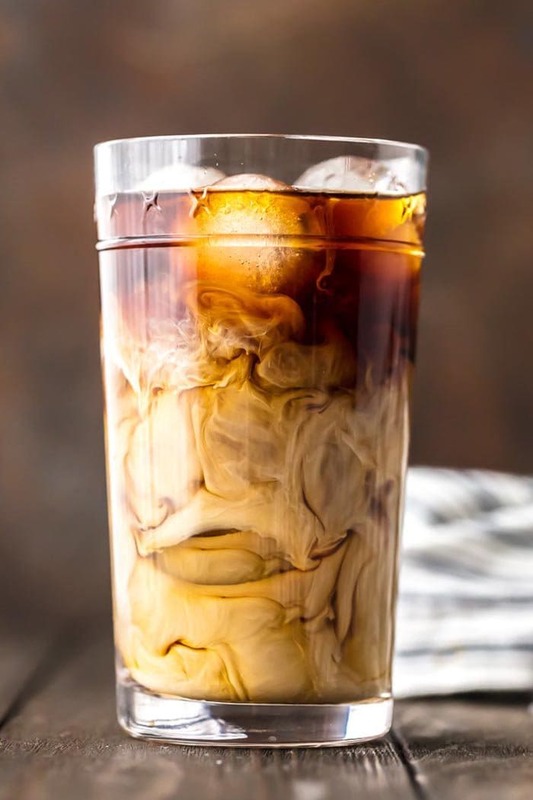 Homemade Caramel Vanilla Iced Coffee | Food Faith Fitness Paleo and vegan friendly, this homemade caramel vanilla ice coffee is made without any refined sugar. It’s sweetened with coconut sugar and mixed with vanilla almond milk. 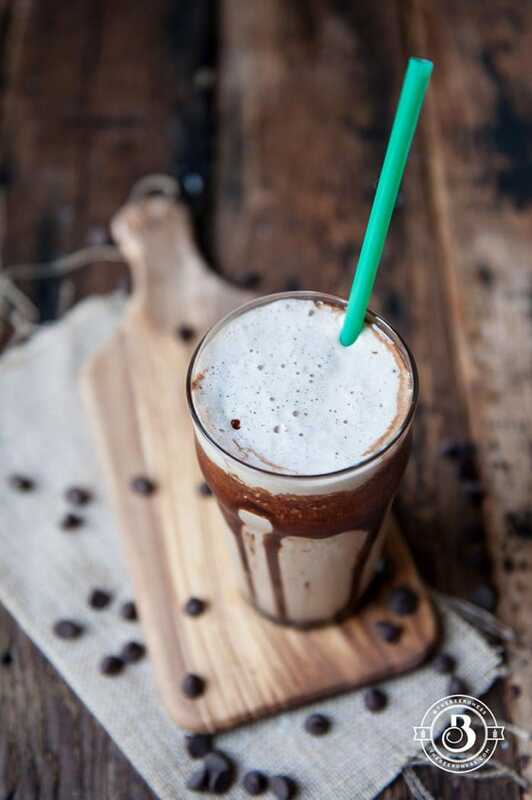 Chocolate Stout Frapp-Brewccino | The Beeroness You know what a frappacino is. But do you know what a frapp-brew-cinno is? 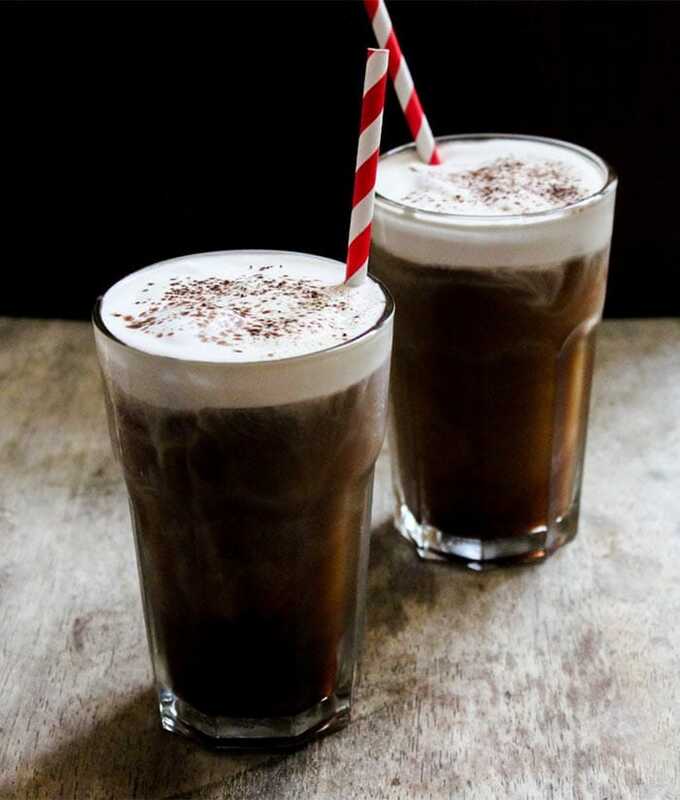 This drink combines strong coffee, chocolate stout, and chocolate for a luscious treat!